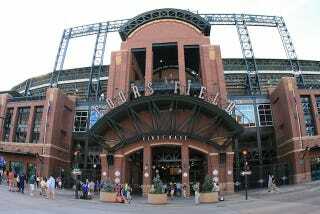 A 27-year-old man died on Wednesday from injuries sustained in a fall as he was attempting to slide down a railing at Coors Field. Robert Seamans of Pueblo, Colo., was a committed Rockies fan. He was taken to Denver Health Medical Center immediately after the accident, where he was declared brain-dead. Seamans reportedly fell 20 feet from the railing and into a concrete stairwell.